The largest indoor shooting range in Nevada awaits you for the ultimate in adrenaline experiences. There are a variety of packages you can choose from to suit your needs and wants. The sensation and know-how of shooting a machine gun can only happen first hand and you can experience this in one of the 16 lanes that incorporate the latest advancements, equipment and technology in the firearms industry. Walking through the doors you will be quick to see that this isn’t your ordinary gun range. 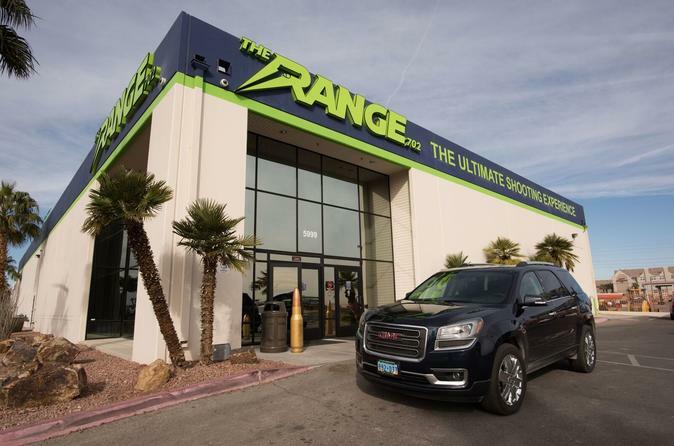 This is the largest and most impressive indoor gun range in Southern Nevada, and they have the experiences to match. Once you take it all in you will be greeted by a "Machine Gun Girl" who will check you in, explain what you can expect, and make sure you feel right at home in the waiting area. The countdown is on, and you are just a few minutes away from the most excitement you can have off the Las Vegas strip. Your name is called and it’s your turn to experience all that is on offer. You will be introduced to your personal Range Safety Officer and given your eye and ear protection. The rules of the range will be explained to you and then you will make your way through the doors to the shooting range. Walking up to the lane your Range Safety Officer explains everything about the gun/guns you will be shooting. They will ensure you know how to properly and safely operate the guns and ask you one last time, "Are you ready?" Take a deep breath, center your target and pull the trigger. Feel the rush of adrenaline pour over you! On offer is a full line of guns from the classic Thompson Sub-Machine Gun, M-16 and MP5 to Glocks, Smith & Wesson hand guns and more.